Fleece fingerless gloves/mitten great for cold weather. 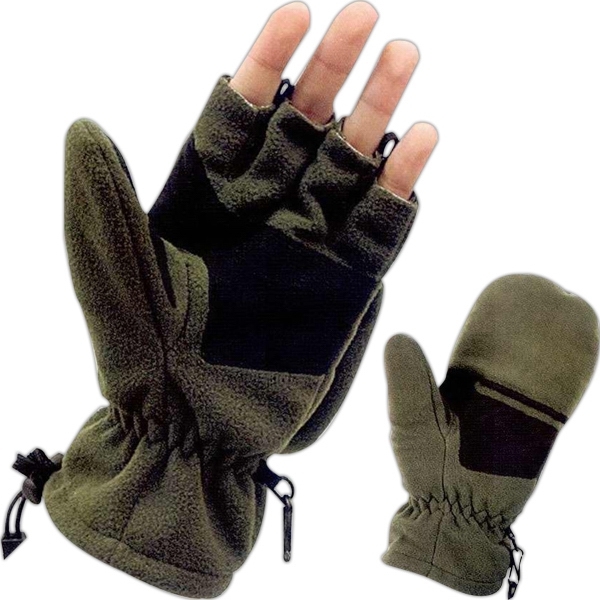 Breathable polyester fleece shell, fingerless glove with retractable mitten top that secures to top of glove with hoop and loop back. Elastic wrist with locking cinch cord. This is the perfect item for those who like to keep warm with gloves but still have easy access to their fingers. Comes with cloth palm and thumb patches.Colors available olive and black.